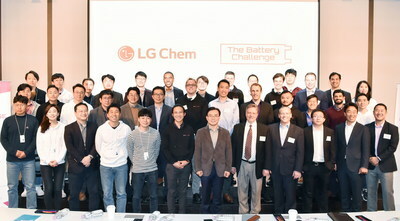 Held in South Korea, the home of LG Chem, the competition invited several startups who impressed during a comprehensive screening process. Each team presented their tech proposals and in-depth business plans and through holistic evaluations, LG Chem selected 5 outstanding finalists based on their technology's innovativeness and feasibility for commercialization. Winners will be given the opportunity to nurture their next-level technologies via joint research projects alongside LG Chem and will receive up to $2M in funding through a formal partnership agreement with the company.